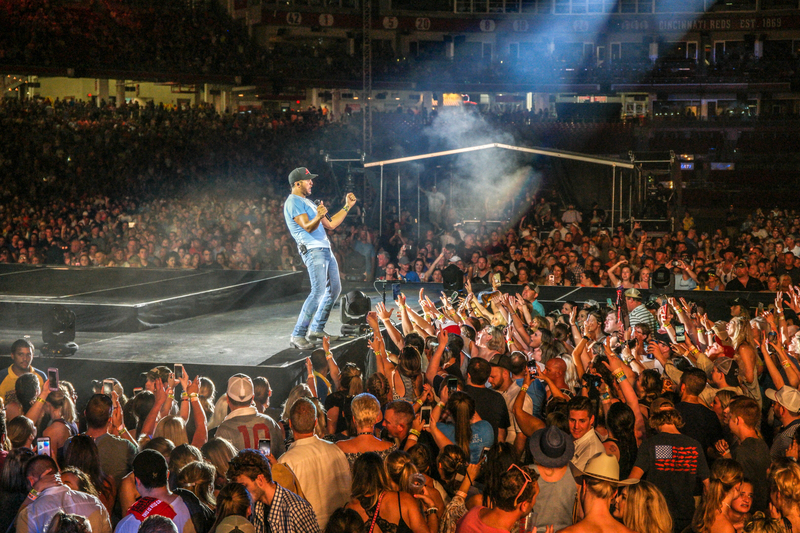 Pressroom | LUKE BRYAN PLAYED FOR 35,000 FANS AT CINCINNATI’S GREAT AMERICAN BALLPARK. LUKE BRYAN PLAYED FOR 35,000 FANS AT CINCINNATI’S GREAT AMERICAN BALLPARK. 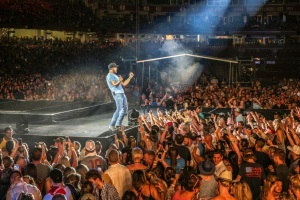 Four-time ACM and CMA Entertainer of the Year Luke Bryan played for 35,000 fans on Saturday night in Cincinnati’s Great American Ballpark on his WHAT MAKES YOU COUNTRY TOUR XL STADIUM SIZED. Luke experienced another triple-crown achievement as the first artist in any genre to play headline shows in three Cincinnati venues- Riverbend Music Center (where he’s sold-out back-to-back nights), Paul Brown Stadium and now the home of the Cincinnati Reds. Singer/songwriter and platinum-selling artist Cole Swindell was a surprise guest on the show and performed with Luke on two of the #1 songs he co-wrote, “Roller Coaster” and “This Is How We Roll.” Openers on the stadium show included DJ Rock, Jon Pardi and Morgan Wallen and special guest Sam Hunt. 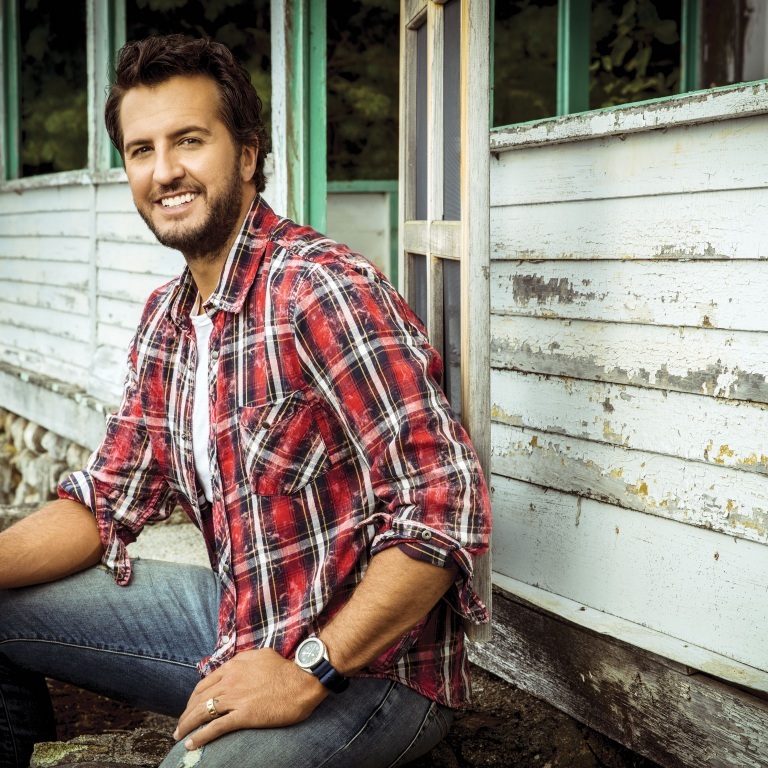 Luke’s WHAT MAKES YOU COUNTRY TOUR XL STADIUM SIZED, named Billboard Music AwardsTop Country Tour, will continue through the end of October with 40+ concerts including 10 additional stadium shows. Live Nation is the national tour promoter of the 2018 “What Makes You Country Tour.” Cabela’s, theWorld’s Foremost Outfitter of hunting, fishing and outdoor gear, is a sponsor. Citi® / AAdvantage® is the official credit card for the Luke Bryan Tour, and as such, Citi / AAdvantage cardmembers have had access to purchase presale and preferred tickets. Citi / AAdvantage cardmembers also have access to special events in select markets, with packages available for purchase that offer great seats, dedicated hospitality lounges, and exclusive experiences. For complete details, please visit www.citiprivatepass.com. Verizon is also a tour sponsor with their Verizon Up customer loyalty rewards program.